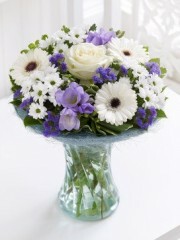 Now that their wonderful new baby boy has arrived, why not send this stunning gift with your congratulations? 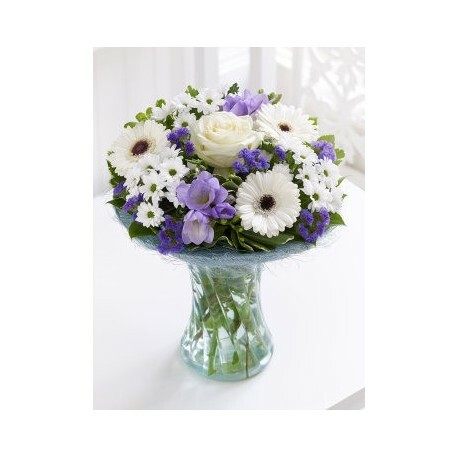 Shades of pastel blue and lilac are perfect for a boy. 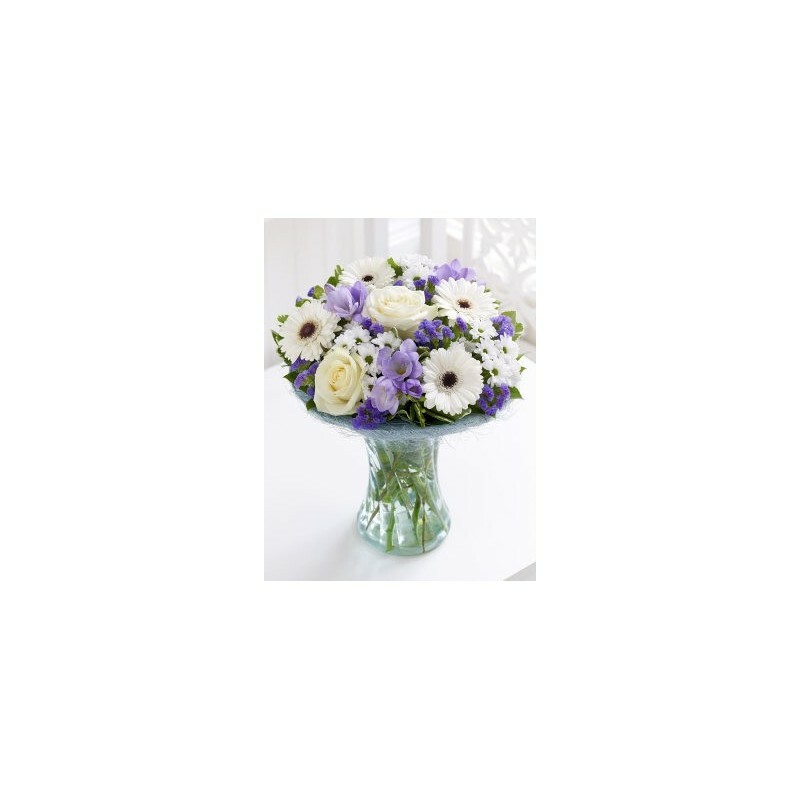 Here we’ve contrasted them with fresh white for ultimate impact on arrival. 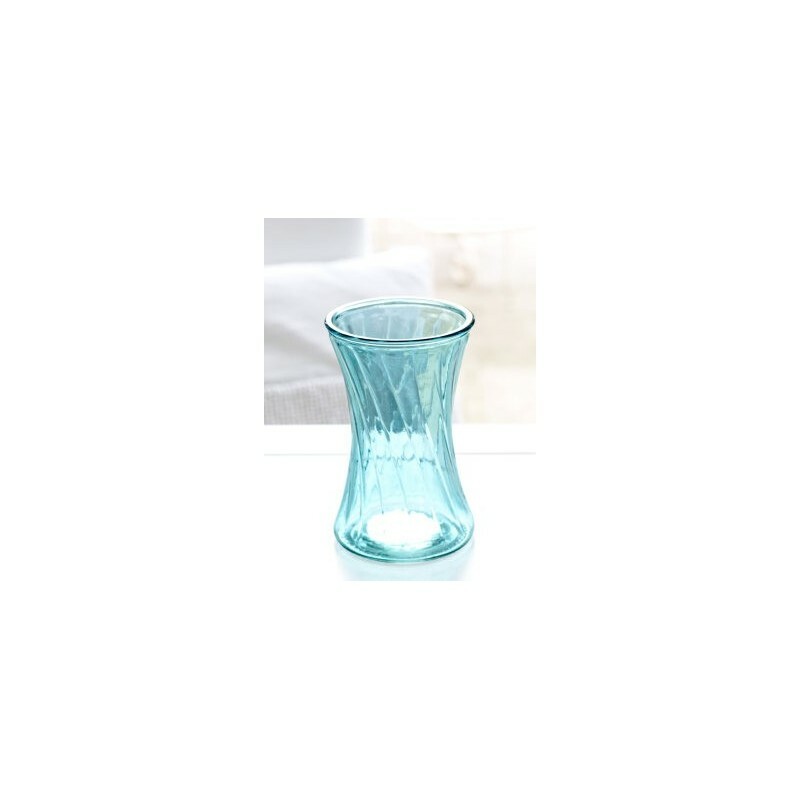 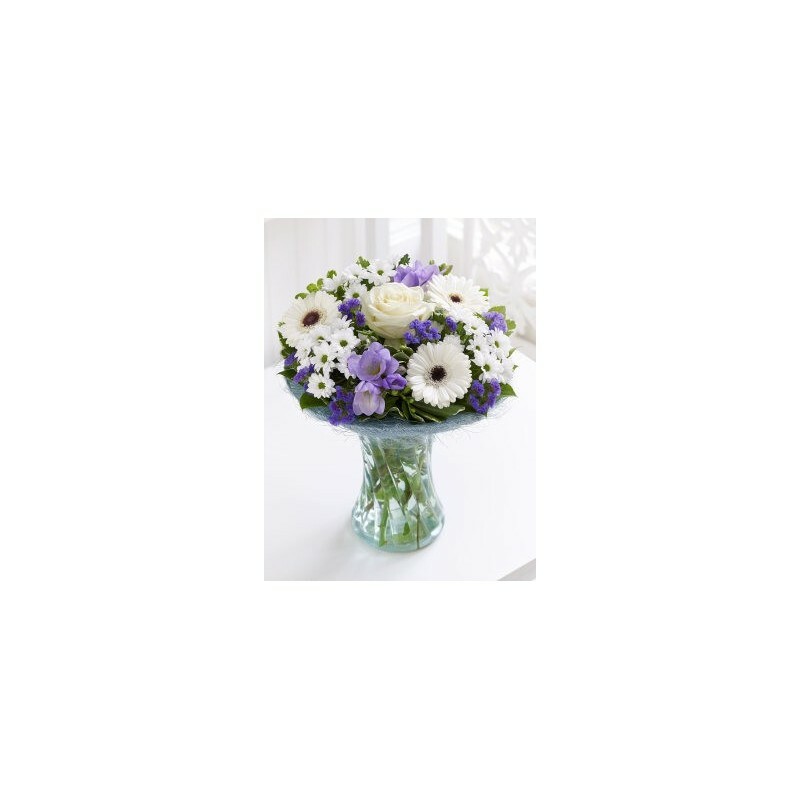 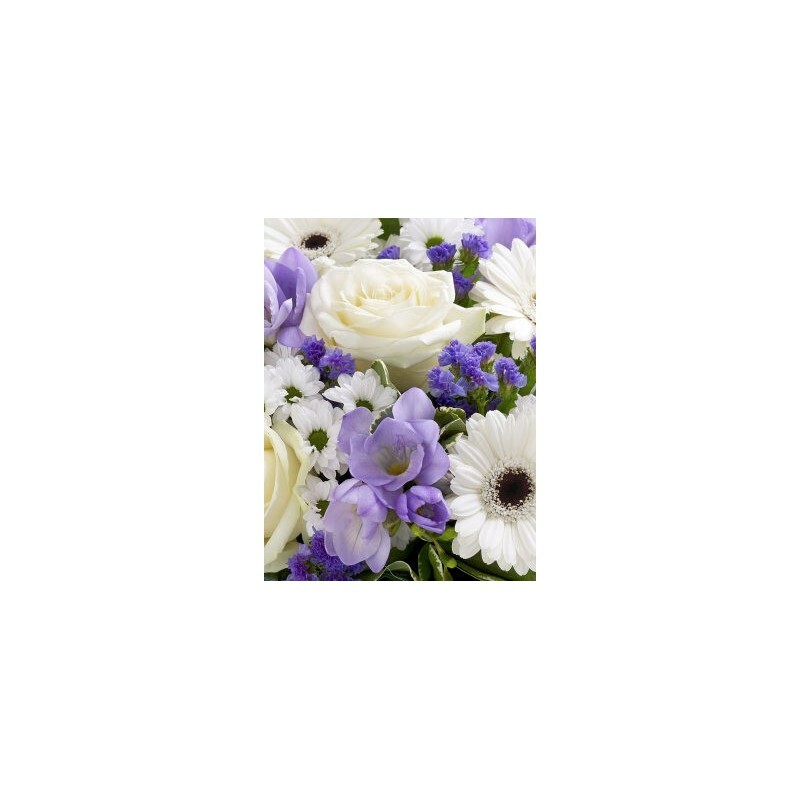 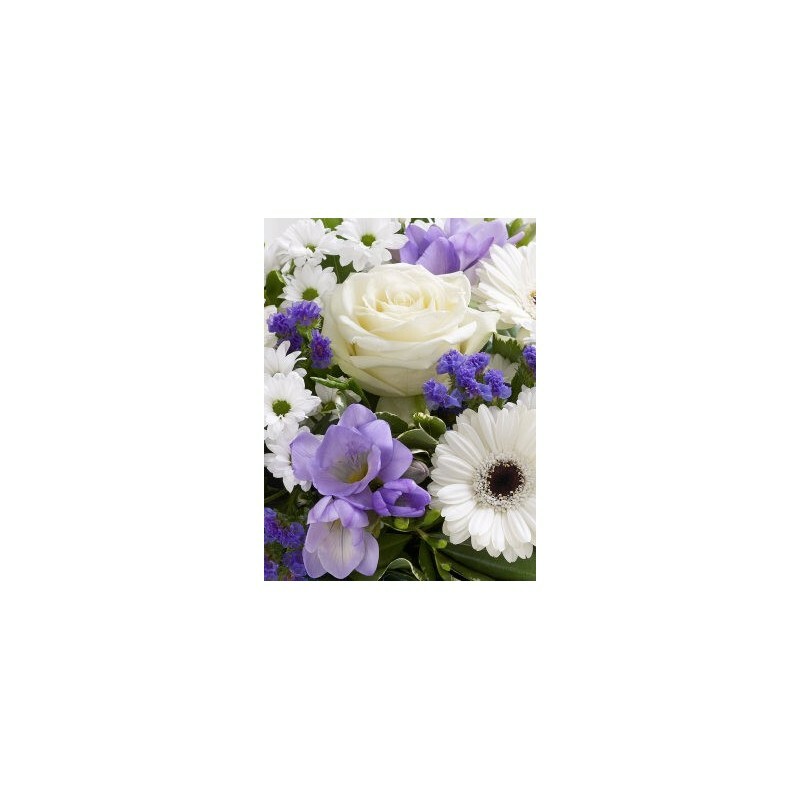 Featuring 3 white germini, a white large headed rose, 3 white spray chrysanthemums and 2 purple freesia, with purple statice, salal and pittosporum, arranged in a blue swirl glass vase with light blue sisal collar and presented in Interflora gift packaging.